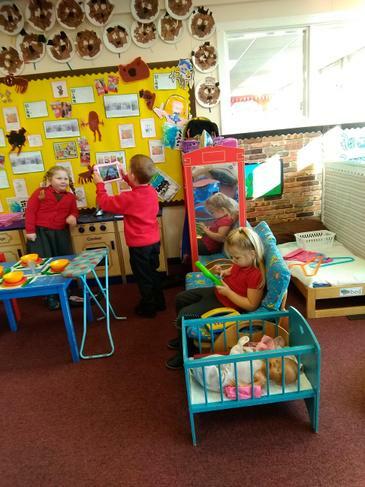 During the children's learning adventure all about Bonfire Night the children listened to some sound files of different firework sounds and watched some video clips of firework displays whilst sat keeping warm around our class fire! 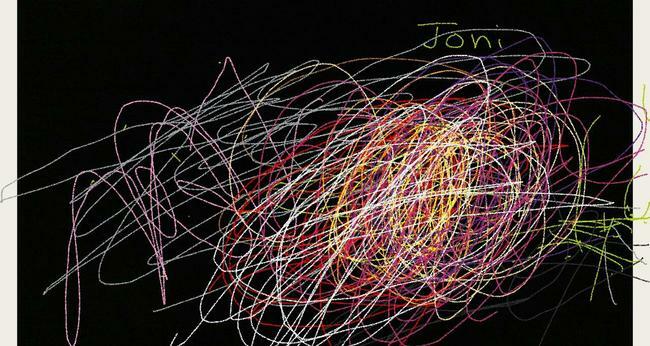 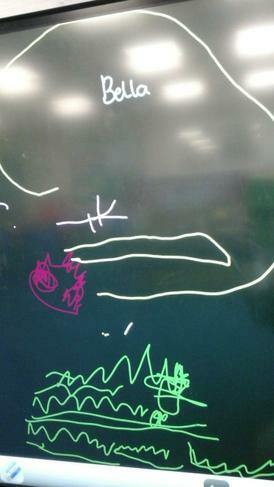 The children then went to create their own fire artwork using chalks and chalkboards. 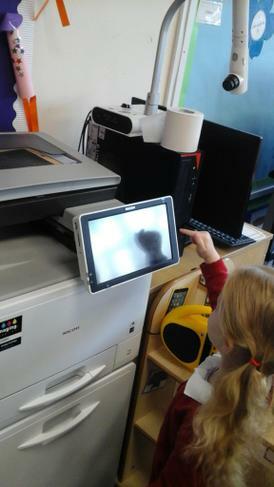 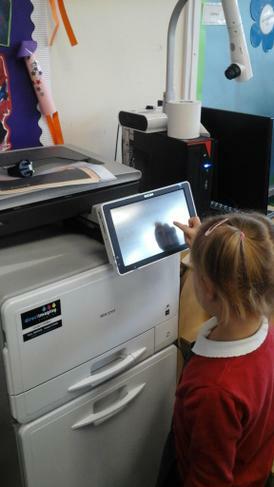 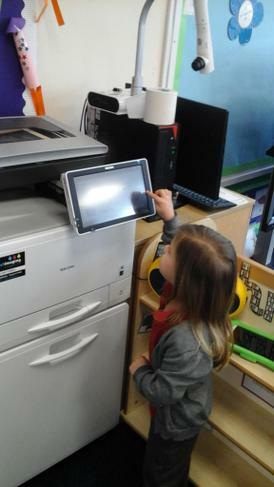 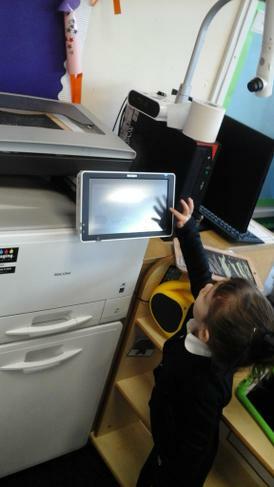 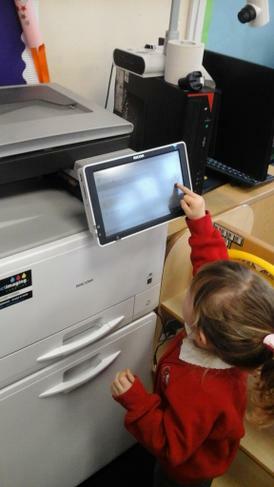 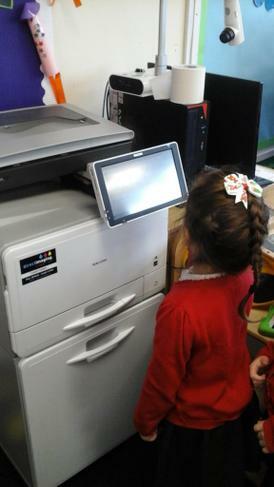 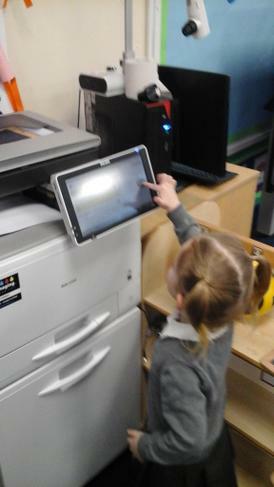 When their masterpieces were completed they used the photocopier to make a copy of their work putting their work underneath the lid and pressing the button. 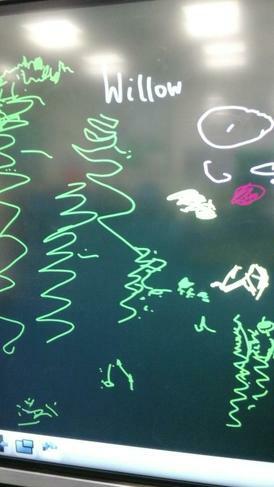 The children were excited to see their artwork come out of the side on a piece of paper! 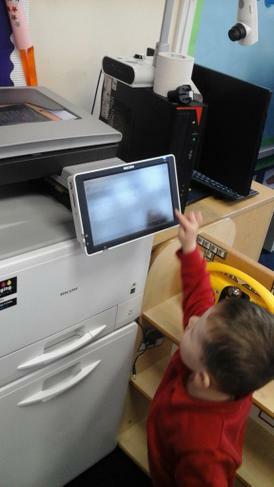 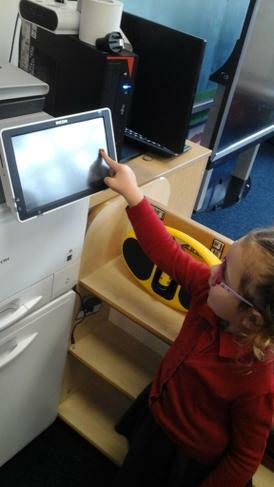 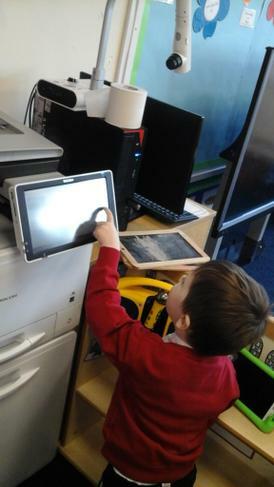 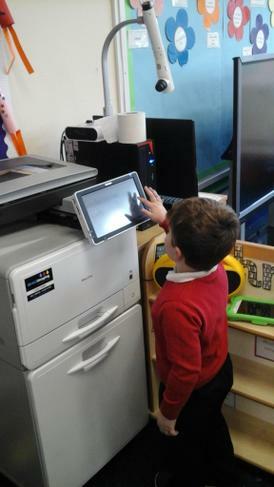 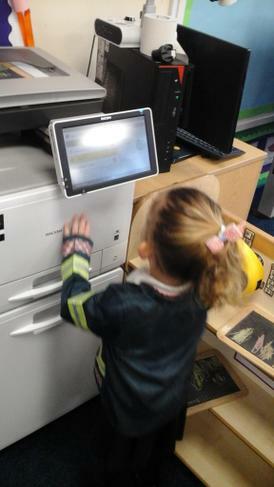 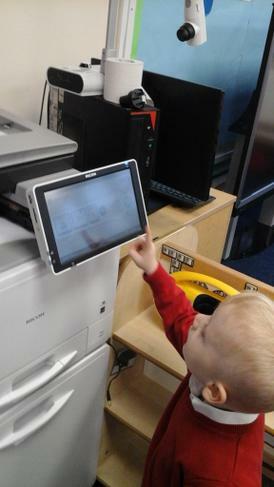 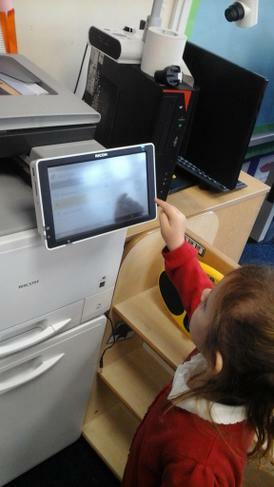 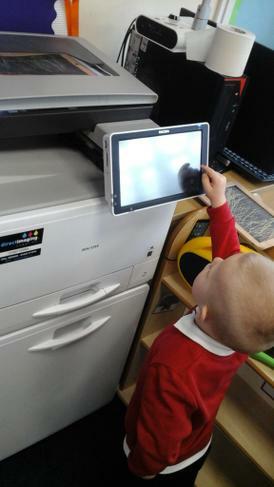 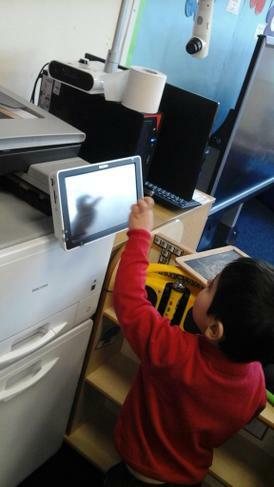 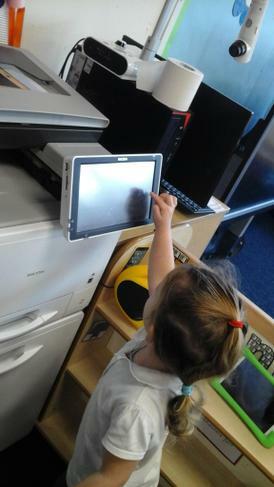 The children enjoyed using technological items in the fire station as they got into role as firefighters. 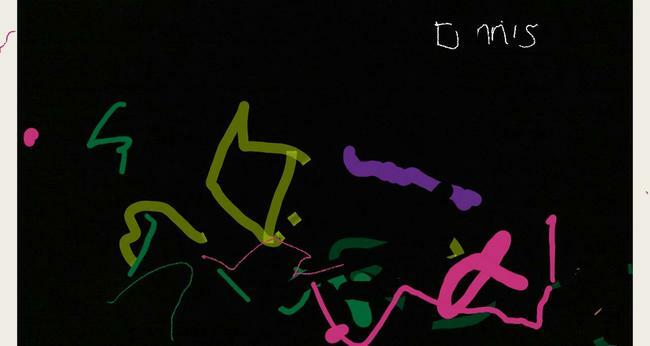 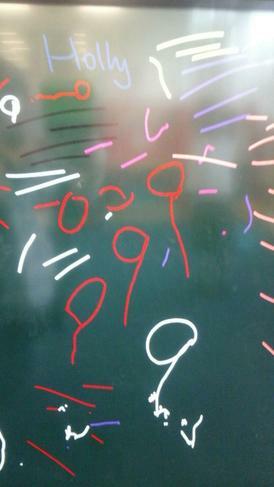 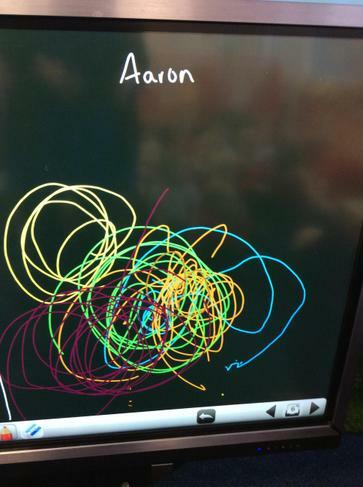 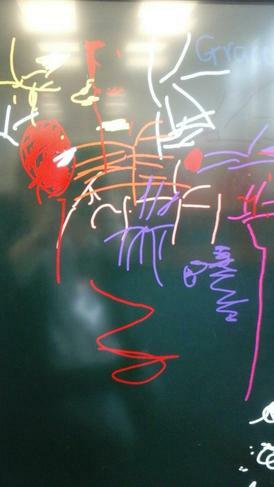 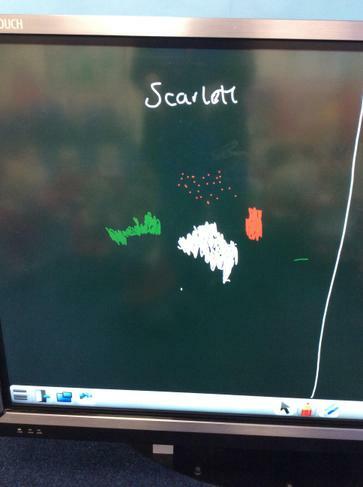 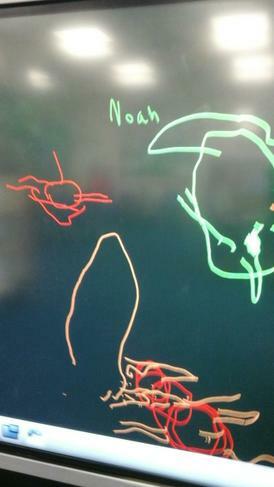 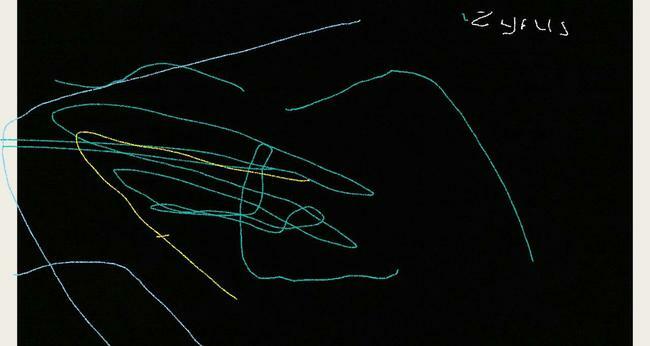 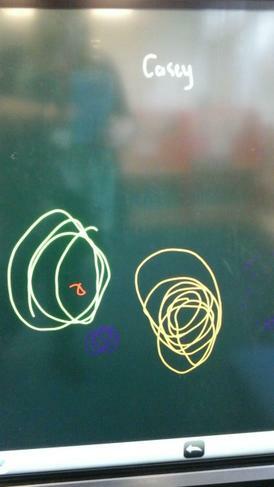 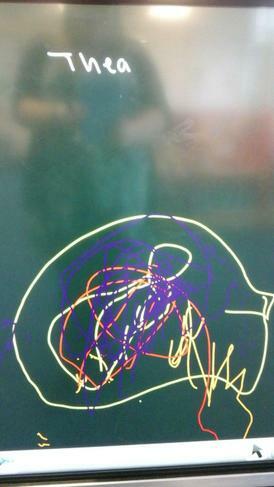 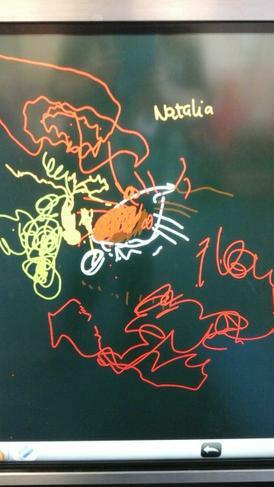 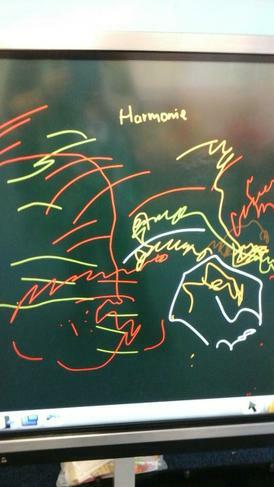 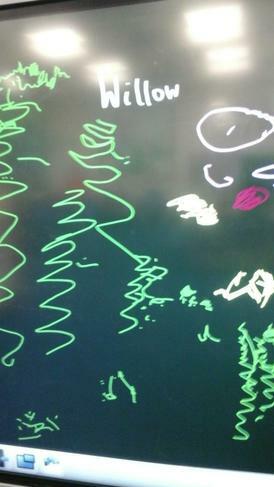 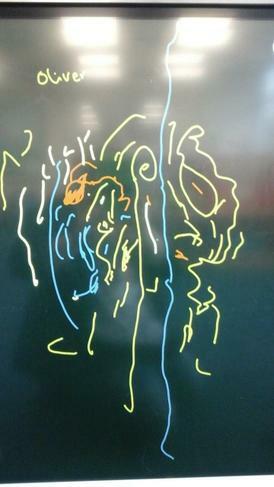 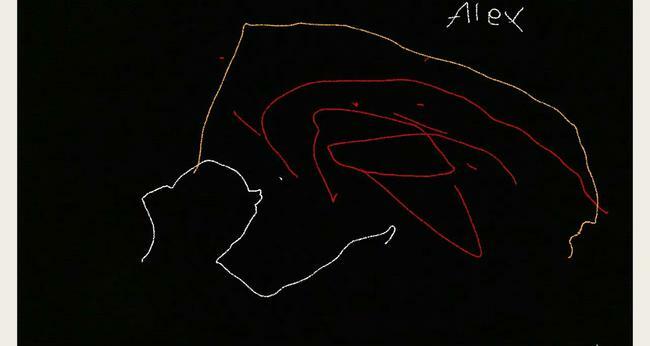 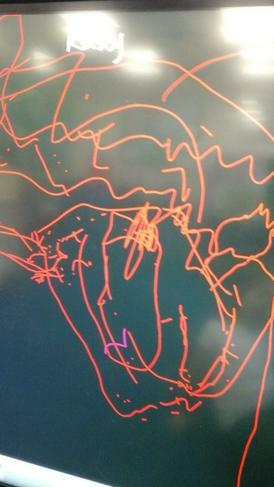 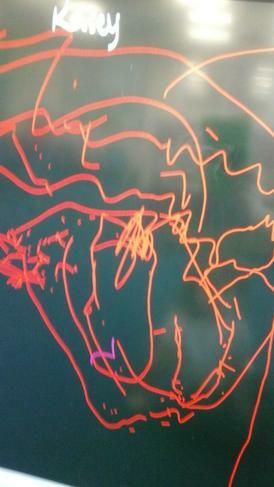 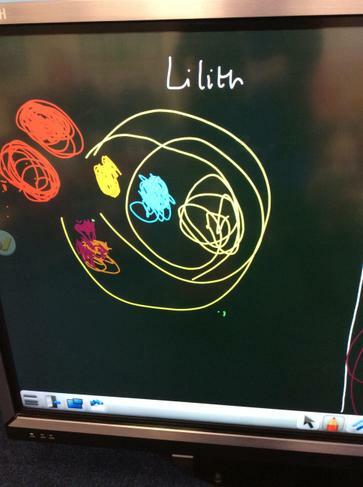 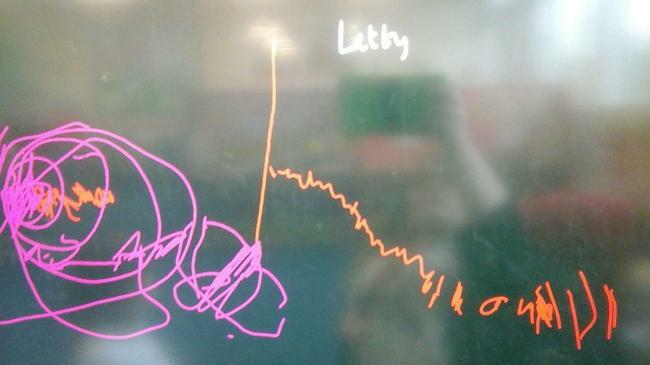 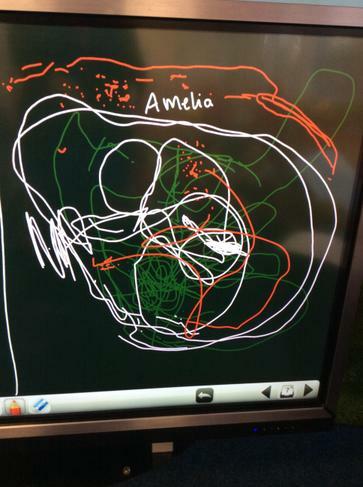 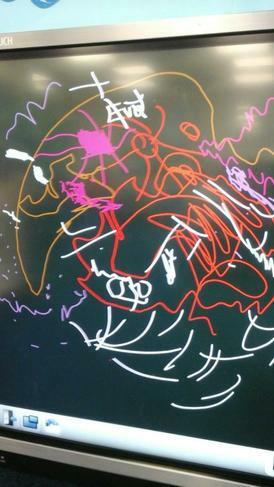 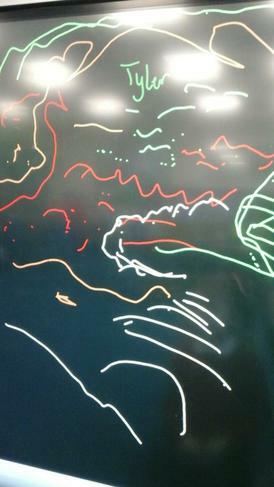 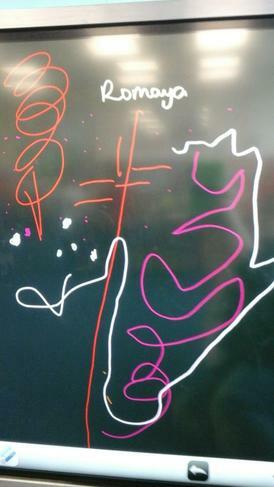 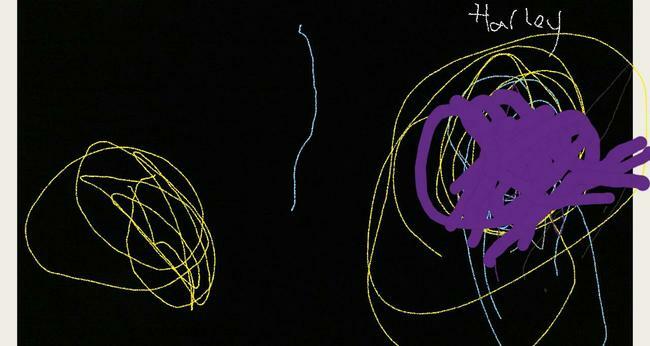 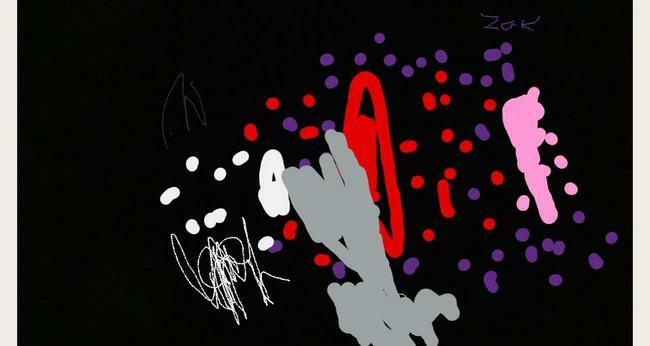 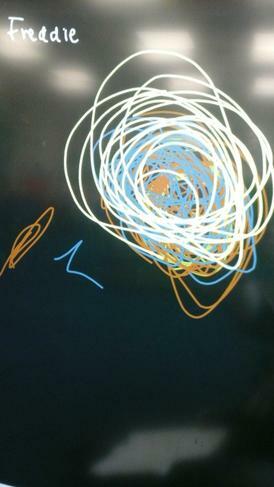 The children also created their own firework display on the interactive whiteboard. 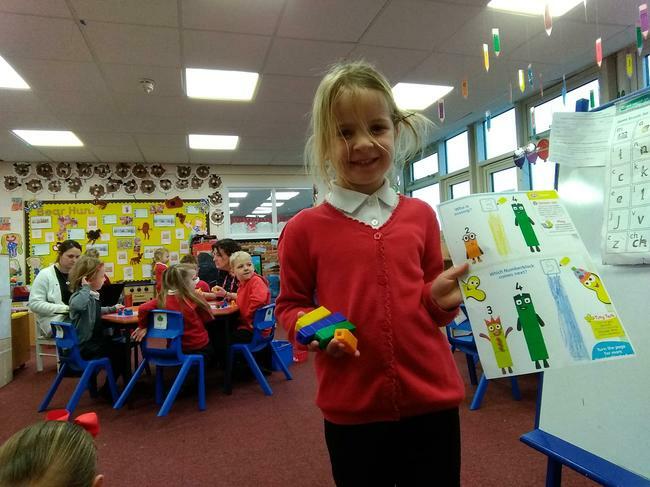 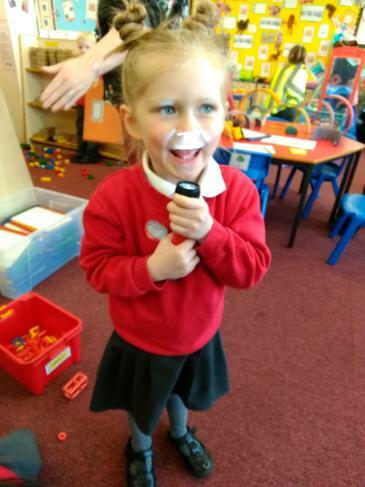 During our People Who Help Us learning adventure lots of the children have been making 999 telephone calls to the emergency services asking them for help! 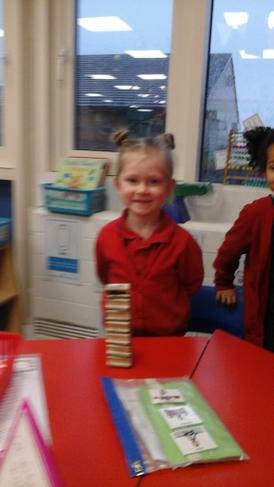 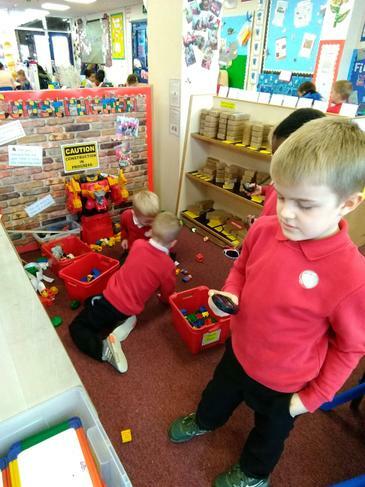 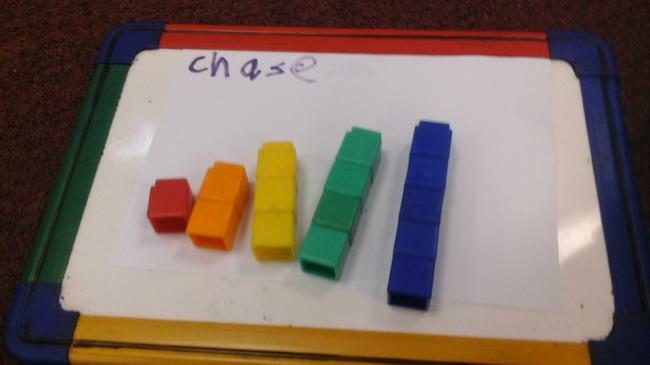 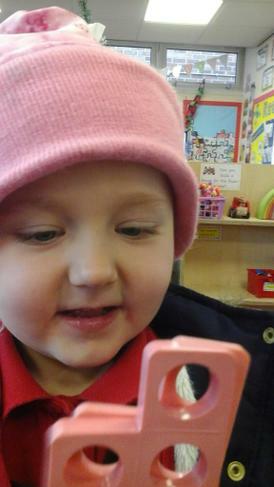 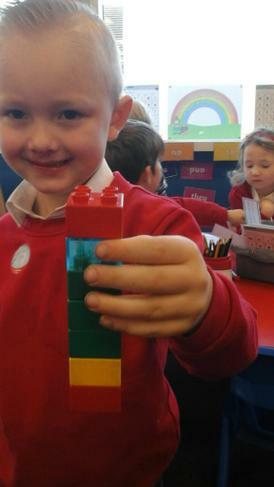 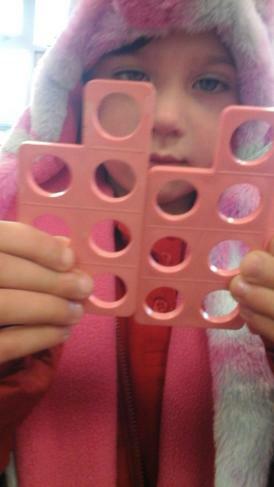 In Reception, the children have been looking round the classroom to find things that represent different numbers. 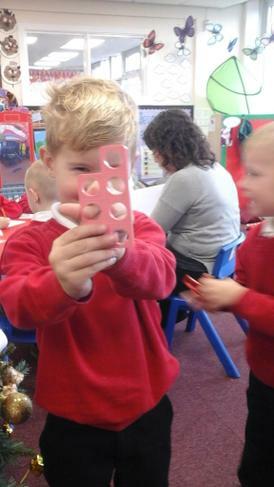 They have then either asked their friend to take a photograph or taken a photograph themselves using the tablet. 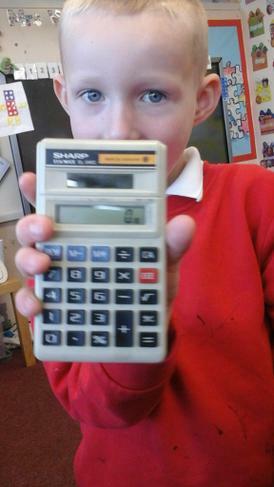 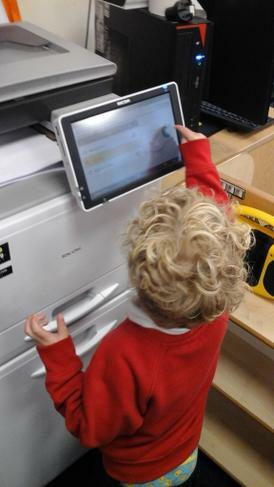 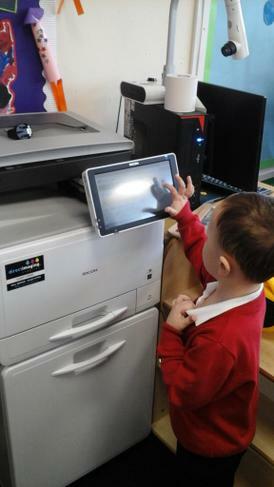 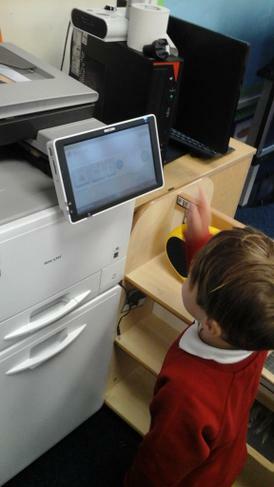 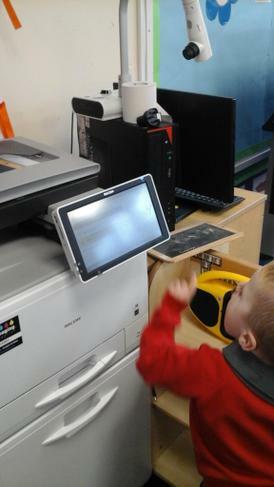 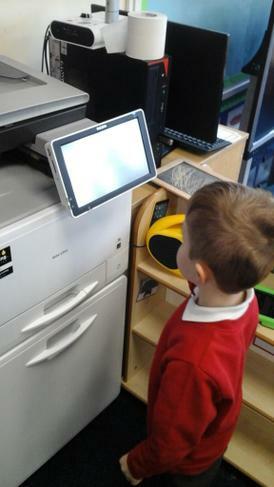 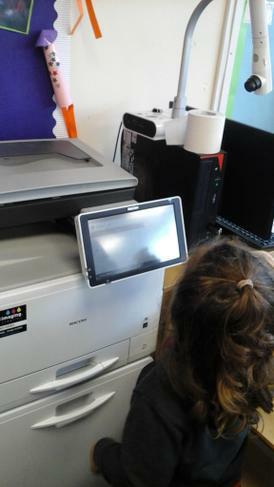 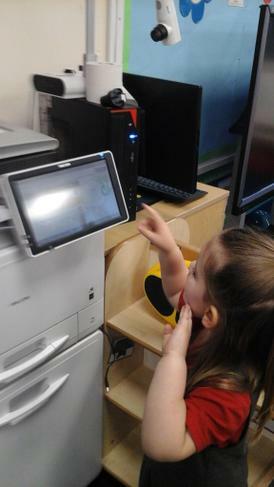 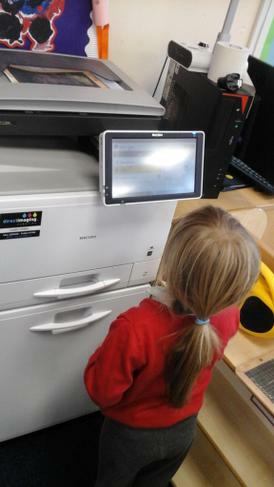 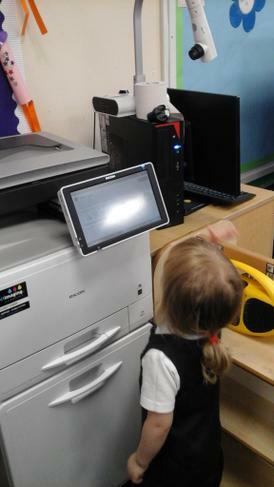 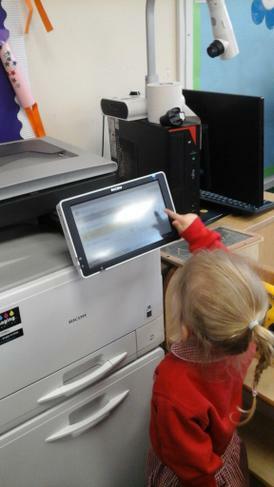 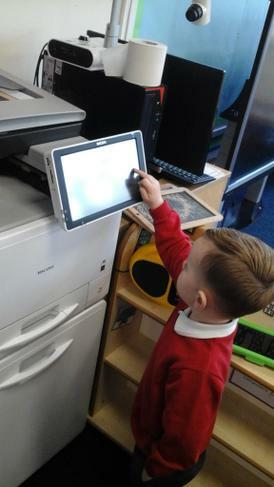 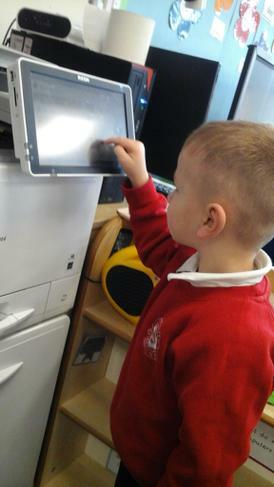 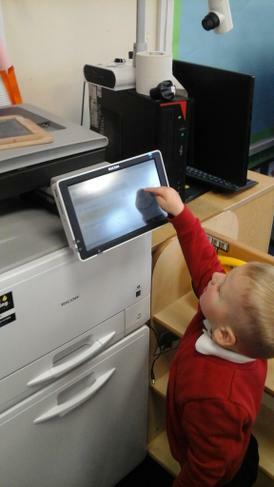 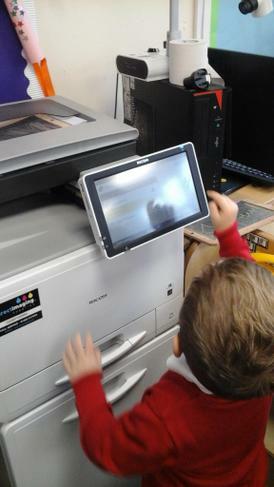 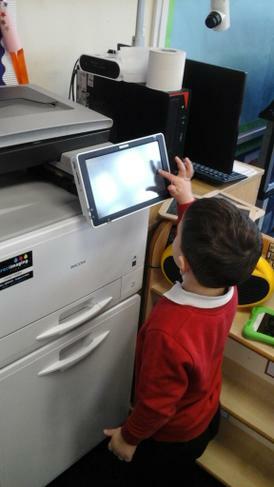 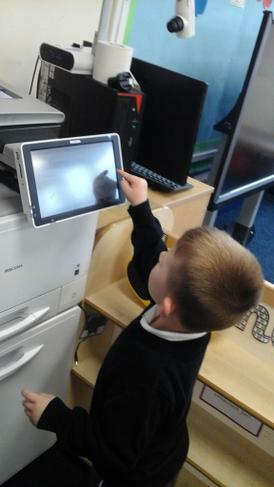 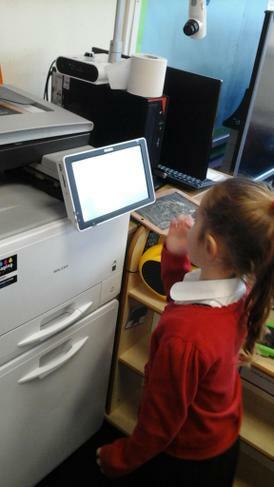 The children have access to a Technology provision area in which they have been able to use stopwatches, calculators and torches. 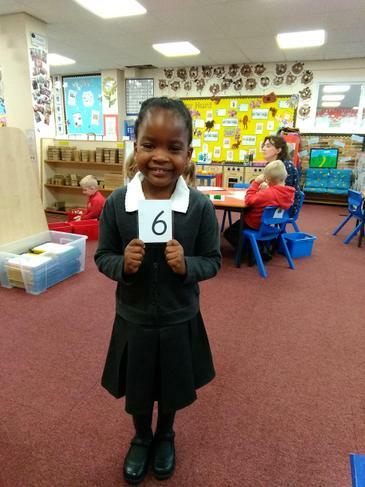 This week, RFW have learnt about the number 7. 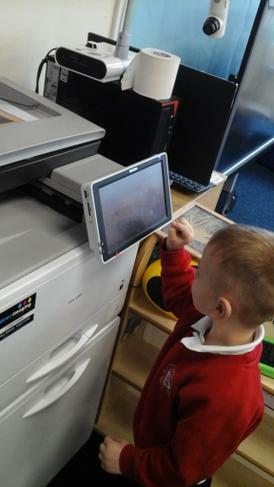 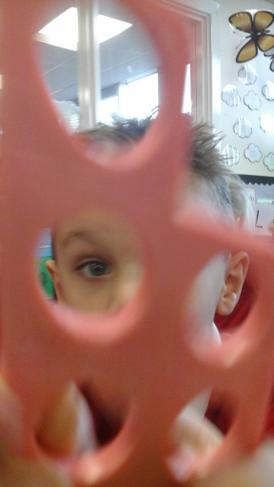 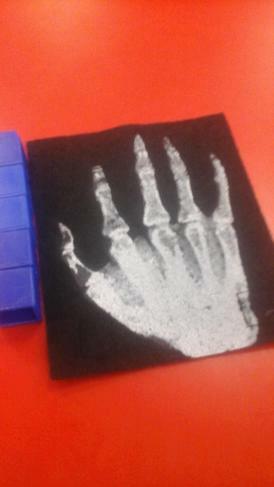 They had to find objects around the classroom that represented the number 7 and ask their friend to take their photograph using the tablet.